Are you having difficulty getting your face back in shape with the rest of your body? Losing weight can help to some extent, but there’s no way to “tone up” your face through exercise. 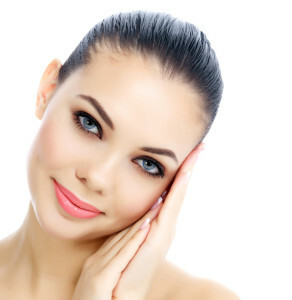 Your best option may call for Facial Liposuction. Also known as “Face Contouring”, Facial Liposuction removes fat from those with genetic fat deposits or fat collections from aging. The most effective areas are under the chin and the jowls, which are the droopy areas that form on the sides of the jaws as we age. If we’re working with the chin and/or neck, a short incision in a pre-existing, natural crease below your chin. However, when working with cheek fat deposits, a very small incision is made in the mouth. A excision and a delicate suction device remove excess fat. The muscles are then tightened if needed. Loose or excess skin on the upper neck are removed, the incision closed and a small bandage applied. Complete medical history including previous surgical procedures, past and present medical conditions and all medications or herbal supplements that you’re taking. Except Dr.Aguilar to evaluate your face and neck, including the skin and underlying bone. Be prepared to discuss possible risk and complications of the procedure. Prepare your guest or caregiver as the procedure usually takes about 1-2 hours and you will need someone to drive you home and care for you 24 hours after the surgery. Because you’ll experience some bruising and swelling, you may consider arranging to spend as long as two weeks away from work. You may want to stick to eating soft foods while your face is swollen and if you have oral incisions you may need to restrict your diet to reduce the possibility of infection. As soon as the surgery is done, Dr.Aguilar will wrap your head in a pressure dressing which will need to be kept on for about 4 days. Generally, patients can resume normal activity in 2-4 days, and only subtle swelling should be noticeable after that time period.